During November I actually reviewed very few beauty products, but the ones I did review were absolute gems and I am sure that they will both make my "faves" list of 2015. Trying to find the correct shade of foundation can truly be a nightmare for many, but I discovered the L'Oreal True Match Super-Blendable Foundation during this month and I can highly recommend this product for its light, yet covering texture & formula and I am sure that there will be a shade that suits you. I have finally found my "best" foundation of all time. Mascara's can also be one of those make-up items that we seem to be eternally looking for the best one on the market. 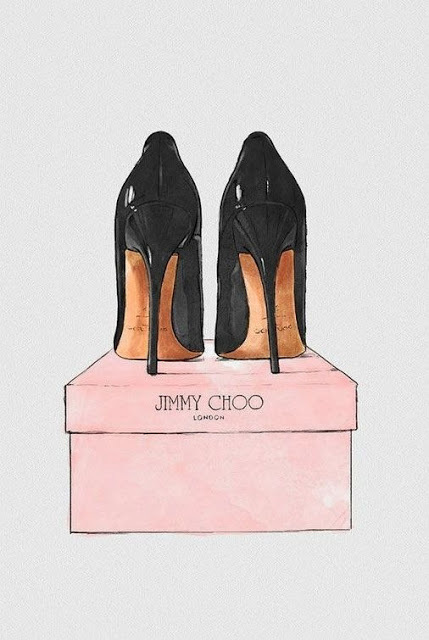 Mascara's are a very personal preference but during November I found the perfect combination "pour moi". 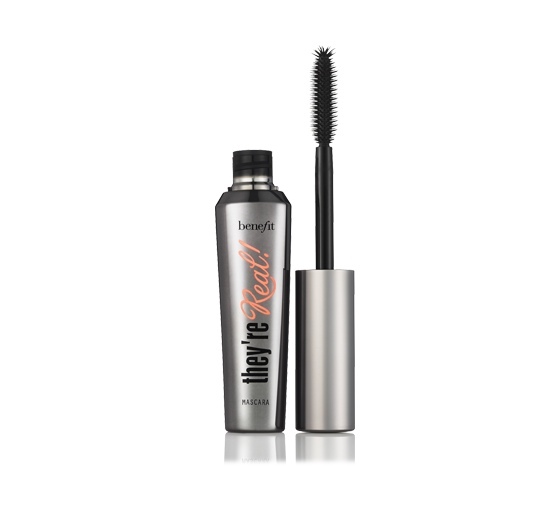 benefit do recommend that to achieve super long and curled lashes then use the Roller Lash mascara to first curl the lashes and then apply They're Real Lengthening Mascara to add length, so I decided to put their recommendation to the test. Call me sceptical, but I thought the advice that benefit give to combine both was just a marketing spin to encourage consumers to buy 2 products instead of 1, but I hold my head in shame, as the combination of these two mascara's really did give "Moi" the curl and length that I was looking for. 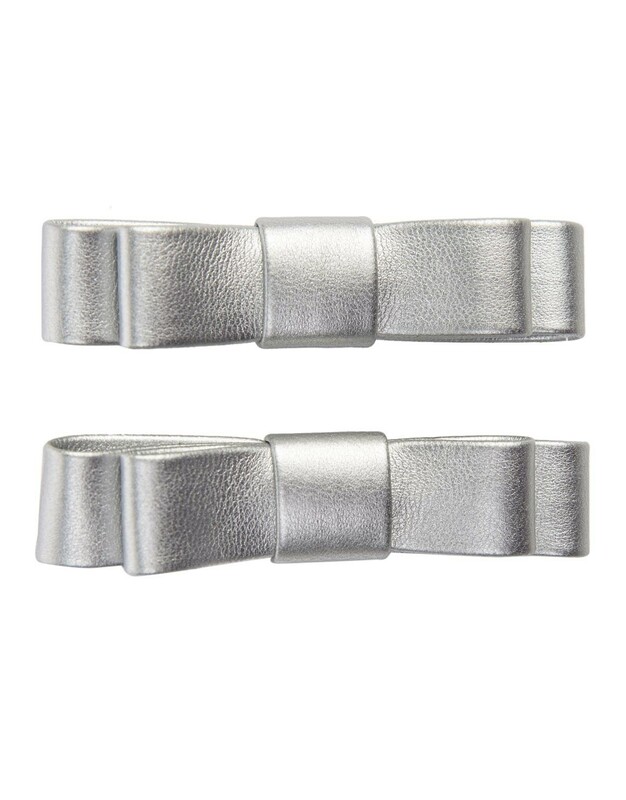 As you get older your lashes do become finer and unfortunately more scarce and I had considered trying false lashes and eyelash extensions, but this combo somehow finds and coats those lashes that I didn't know I had. 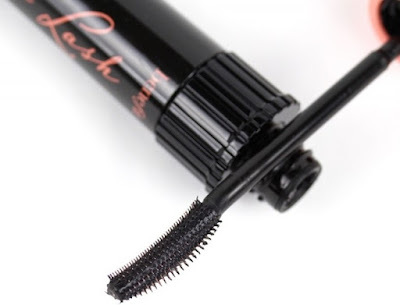 I think it's the hook like brush on the Roller Lash mascara that separates out the lashes, that generally clump together, and gives you that fuller lash look. I recommend that you use Roller Lash first to lift,curl and separate your lashes followed by layers of the lengthening and volumising they're Real! Mascara as this worked for me and my sparse lashes. they're Real! mascara has a specially designed brush that can be used both horizontally AND vertically, which makes mascara application life much easier. Both mascara's are long-wearing and a jet black formula. 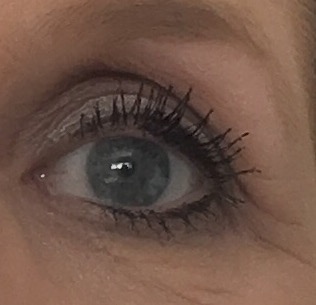 I now have a new found double mascara "love" as I really couldn't proclaim more love for one than the other,as in my opinion they make a great mascara duo. I know.. I normally post my Sunday Savings post on a Sunday, but guess what....I forgot to post last Sunday and these offers end this coming Sunday 29th November, so here it is on a Thursday! 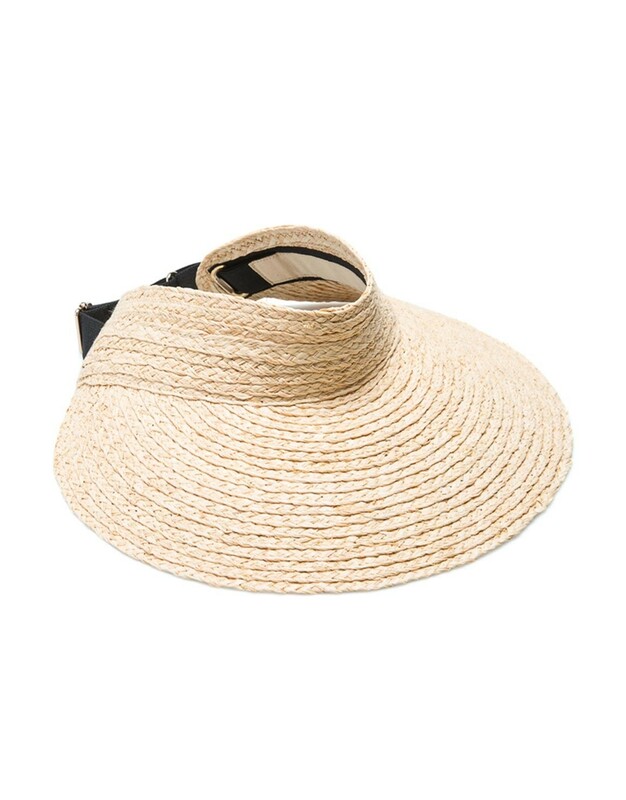 Woolworths have done it again and are offering a 20% saving, when you buy any 2, on selected women's accessories and that includes a great selection of handbags (inc Trenery,Mimco and Witchery), beachbags, hair accessories, scarves, jewellery, hats and many other accessories. This promotion could also attract that extra 15% off, if you are a WRewards member, which even with my poor maths can add up to a very worthwhile saving. So now is really the time to either treat yourself or stock up on gifts for Christmas. Here are some of just a few of my picks.. I would love any of these beauties that are sitting on top of their boxes, but my "fave" would be the Chanel bag or maybe the Jimmy Choo's...oh why can't I have them both! then I highly recommend you to view the 2nd video, as both make "feel good" viewing. You must go and check out this great promotion on Hand and Nail Creams at Woolworths at the great price of R59.95 each, which equates to R39.96 each and that is a real bargain, but you must be a WREWARDS member. They have 17 fragrance variants that all come in very pretty packageing and make great stocking fillers, secret Santa gifts or end of year teachers gifts. 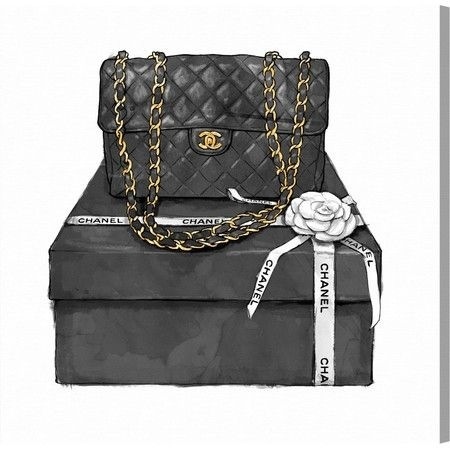 These are just 3 of my "faves". 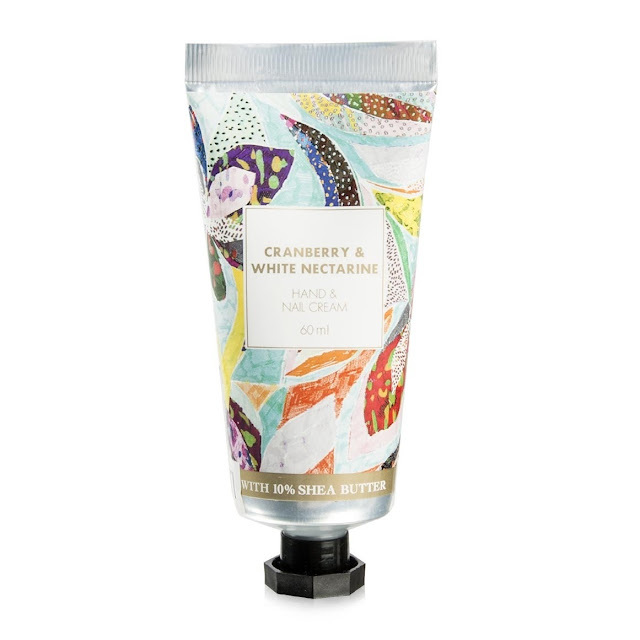 A fruity scent that has a rich feel of cranberry and white nectarine fragranced and is formulated with 10% shea butter to leave hands feeling nourished and moisturised. 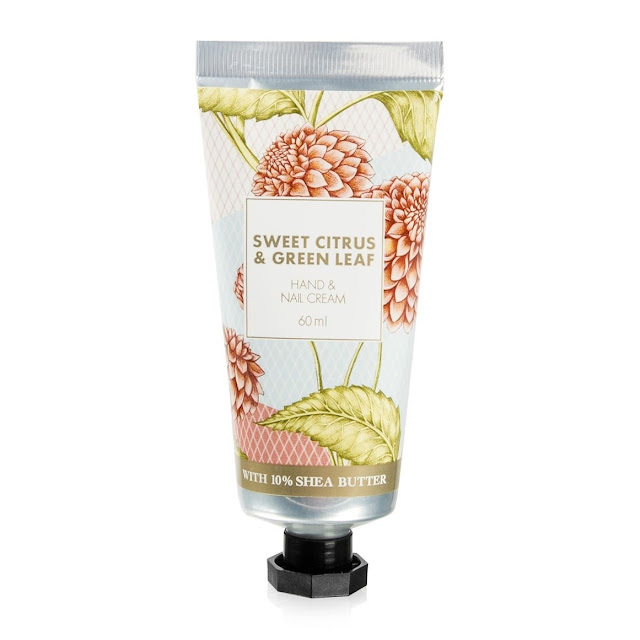 I love the fresh fragrance of this sweet citrus and green leaf scented hand and nail cream and again is enriched with shea butter to keep hands soft, nourished and moisturised all day long. 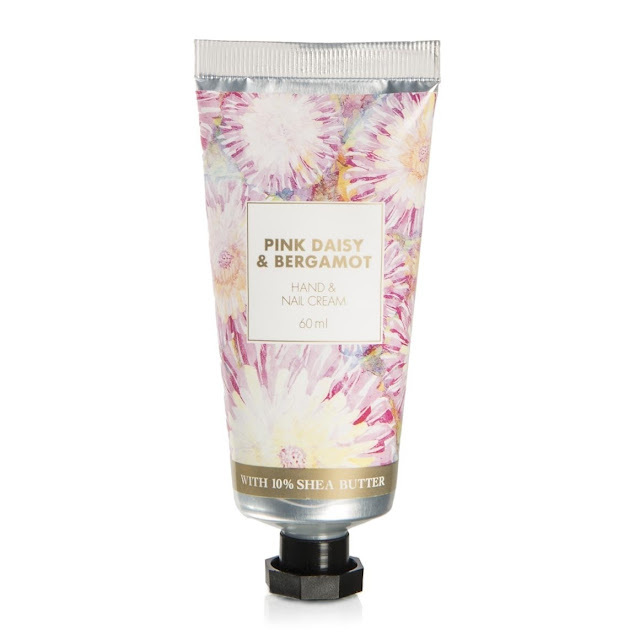 This had to make my "fave" list...pink daisy & bergamot scented hand and nail cream. It's now in store, yes the Elizabeth Arden Holiday Blockbuster 2015 has arrived in time for the holidays. 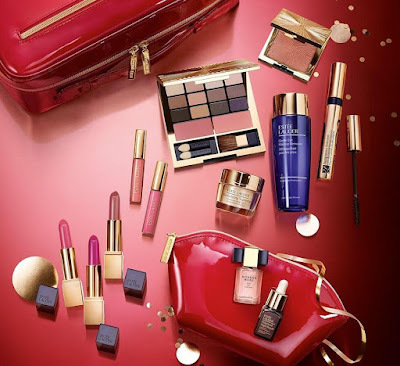 The Elizabeth Arden and the Lauder collections are by far the best and every year they just get bigger and better and this year is no exception. 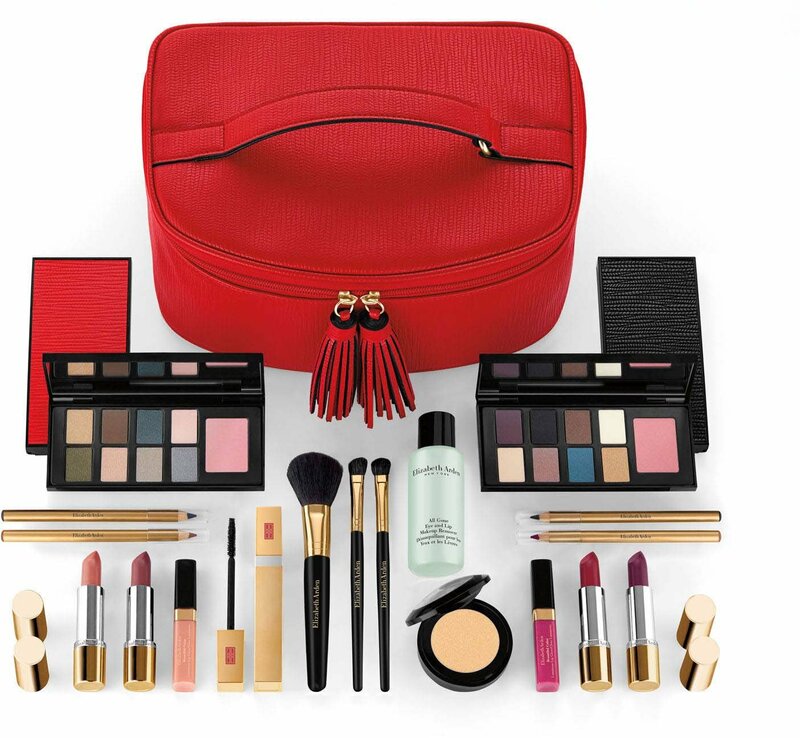 The EA Blockbuster offers an amazing colour selection of make-up and brush items all packed in this lovely red case. 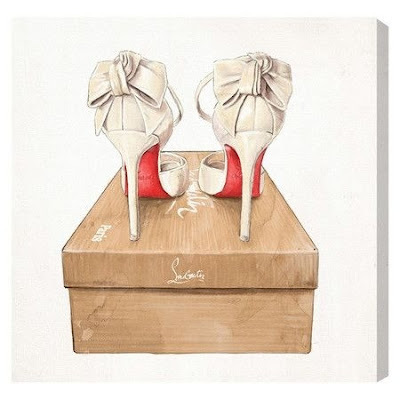 Who wouldn't love to receive this as a gift! I am sure these remarks will sound familiar to most of us when trying to find the correct shade of foundation. Foundations are perhaps the most difficult of all make up items to buy and it does often take some "hit and miss" attempts until we find that "one" that will be our daily "go to" foundation. I've used foundations from many of the houses, but for sometime now I have been using a couple from the Estée Lauder stable and have been relatively happy. 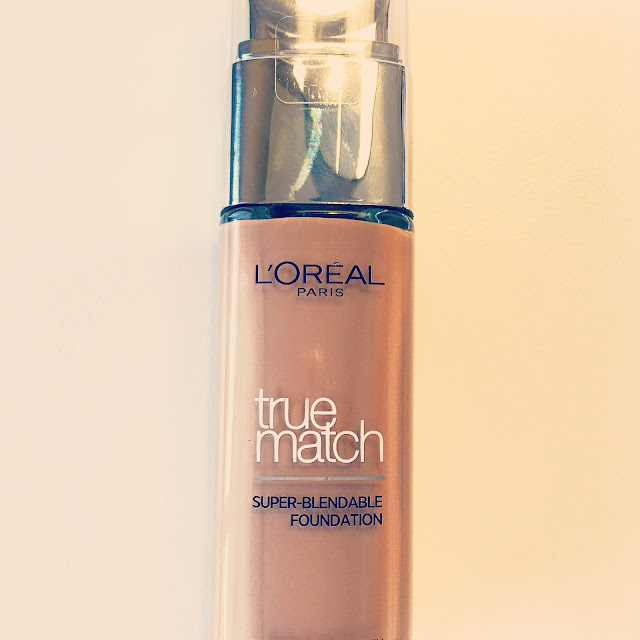 I came across the L'Oréal True Match Super-Blendable Foundation via a few (non sponsored) overseas blogger posts, where they all raved about it, so off to Clicks I excitedly trotted to investigate further! This product is no newcomer to the foundation scene, as it's been around for several years, however it recently went under a make-over itself and was re packaged and re formulated, so not having used the previous version I have nothing to compare it with. I have to say that my first impression of the bottle was one of quality, as the pump action, squared off, expensive feeling bottle fits comfortably into your hand and it's really easy to control the amount you dispense, so we were off to a good start! Thankfully I ignored the Clicks consultants recommendation and opted for the shade 3.R/3.C Rose Beige,which really was a True Match for my skin, as opposed to the yellow undertone shade she recommended.They do have a good selection of shades (21 Internationally) on offer, so I suggest that you try the testers of several to find your true match. I wasn't expecting the light texture of the foundation to feel so creamy and fluid, hence the ability to be Super Blendable and it truly is! It has to be one of the easiest foundations to apply, as the formula just glides onto the skin and allows you time to blend the foundation, whether it be with your fingers or a brush, without it drying and becoming cakey. I was super happy with the medium - high coverage that the ultra fine, skin perfecting pigments give and the foundation is buildable, whilst still giving my skin a natural matte, yet radiant finish. As though I wasn't impressed enough it just got better and better, as it's a foundation that is long wearing and I mean "looong" wearing, it really looked good after many hours of wear. Throw in an SPF 17 and this is a well performing foundation. even the price is good R185. 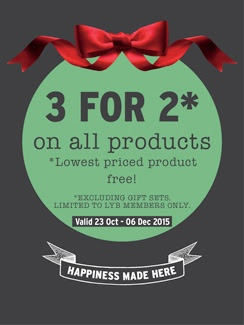 This weeks Sundays Savings are happening at the Body Shop until the 6th December, as they are currently running their ever popular - Buy 3 for 2 promotion - where the lowest priced product is free. 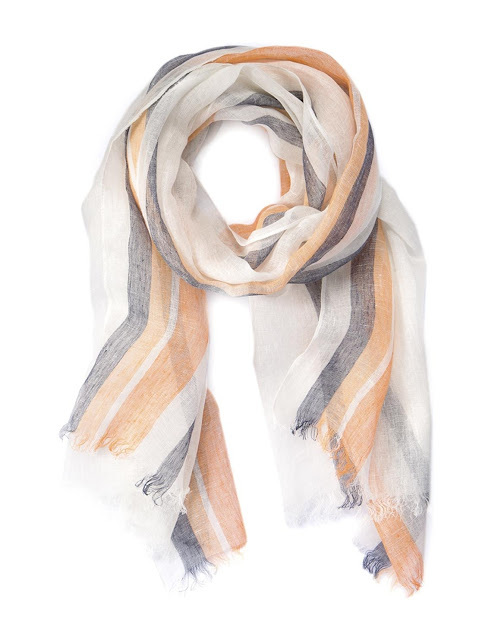 So if you fancy doing some early Christmas shopping, then now is the time to do it. I recently bought three products from their Ltd Edition collection that is always launched at this time of the year. My favourite is the Frosted Cranberry Shimmer Lotion R120 which is a fruity, juicy fragranced, light body lotion that has a lovely festive gold shimmer, so I had to buy two along with the matching pink shimmer body mist R200, how could I let this offer pass me by. 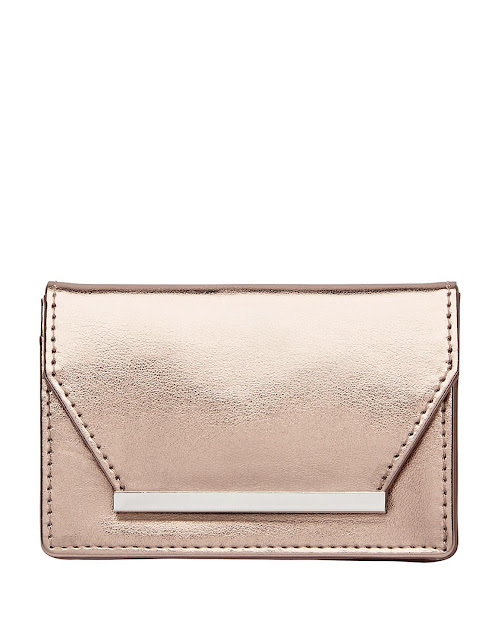 I'm now all prepared for the holidays, as I will be getting my Cranberry "shimmer" on. 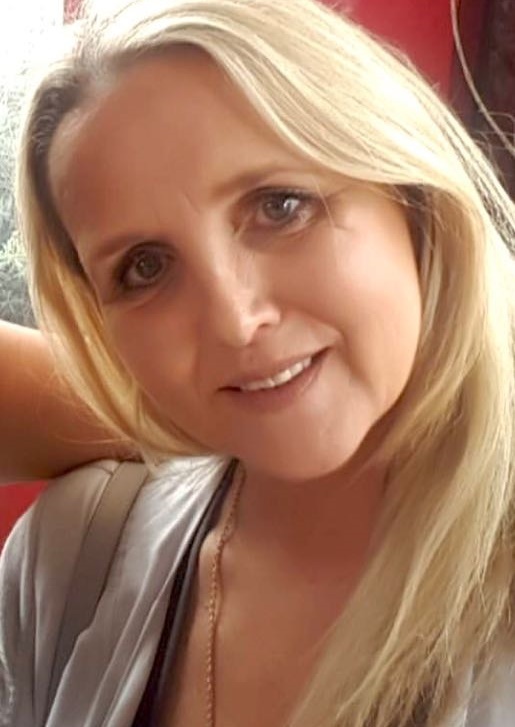 We are now well into November and here in South Africa and around the world the stores are getting dressed for Christmas and as always the festive advertisements on television start to appear. It has become somewhat of a marketing tradition for the "big gun" retailers to produce, a often heart warming ad that not only pull at our heart strings, but ultimately our purse strings as well. 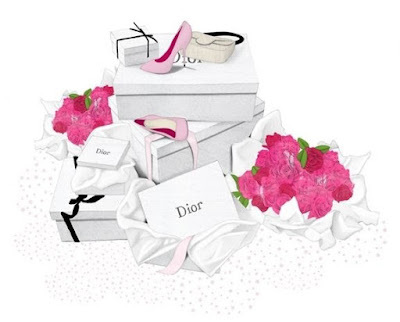 Reportedly to be a hotly contended spot each year, as to who produces the "best" of the season. To check out my previous "faves"
This year John Lewis have just launched their contender and "what" a contender it is.. It apparently cost £1 million to produce and a further £6 million on buying advertising slots. Its called "Man On The Moon" and I'm not even going to give you the story line, I will leave it up to you to just watch,enjoy and decide. 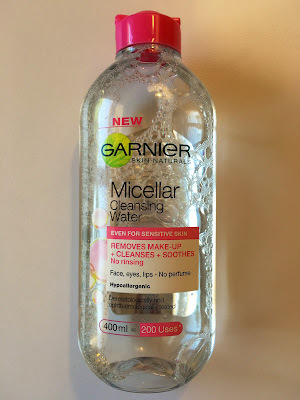 I discovered the Garnier Micellar Cleansing Water earlier in October, somewhat late I know, as it's been out for many months now and this little gem (or should I say big gem) deservedly has made it onto my "must have" list. great value all at a great price. I've found it, I've found it....finally a mascara that delivers on all it claims. The Benfit Roller Lash Mascara is my new found best make up friend.